Rangiora’s Matt Summerfield has finished his 2015 Brian Green Property Group New Zealand Rally Championship campaign in perfect fashion with his first NZRC round win at the Trusthouse Racetech Rally Wairarapa to also claim third for the overall championship. Summerfield and co-driving sister Nicole made a bold decision to run first on the road which turned out to be a good one and after recording the fifth fastest time on the opening stage, stormed through the second stage almost 30 seconds faster than the chasing field to move into the lead. 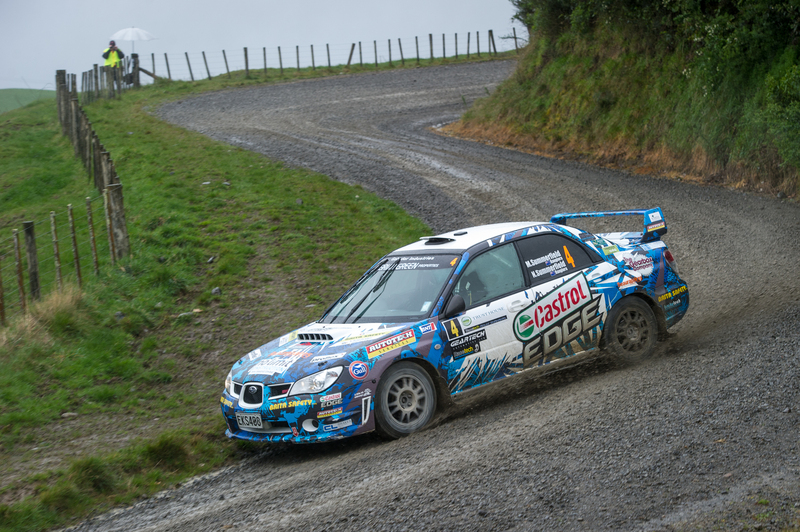 Stages three and four were repeats of the opening two and Summerfield once again powered the Castrol Edge Subaru to a commanding win on the second pass of Ridge road to give himself a 37.2 second lead at the lunch time service. While wet weather had helped their cause in the morning, the afternoon’s southern stages were dry and heavily gravelled, leaving Summerfield to sweep a clean line. With that disadvantage, Summerfield’s lead would be whittled down to just 0.7 seconds heading into the last of the eight stages. In the end it was Summerfield who held his nerve while rival David Holder spun and Summerfield was able to claim his first NZRC round win by 23.4 seconds. Matt Summerfield Rallisport would like to acknowledge their sponsors, without whom their 2015 campaign would not be possible: Castrol Edge, Autotech Services, Brita Safety, Clearwater Painting, North Canterbury Energy Centre, The Gearbox Company, Chatterton Builders, Liquorland, I C Frith Insurance Brokers and No Limit Construction.